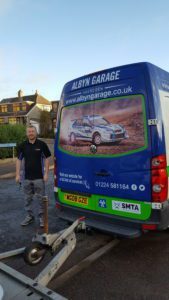 Thanks to #TeamAlbyn’s sponsors and a lot of hard work from the boys, #TeamAlbyn have decided to compete in the Wales Rally GB this year. It is a HUGE step up, playing on the same tracks as the World Rally Championship (WRC) boys! The Rally itself lasts 3 days, with 107.47 stage miles, 440.76 road miles, meaning the boys will be covering a Total of 548.24 miles!!! 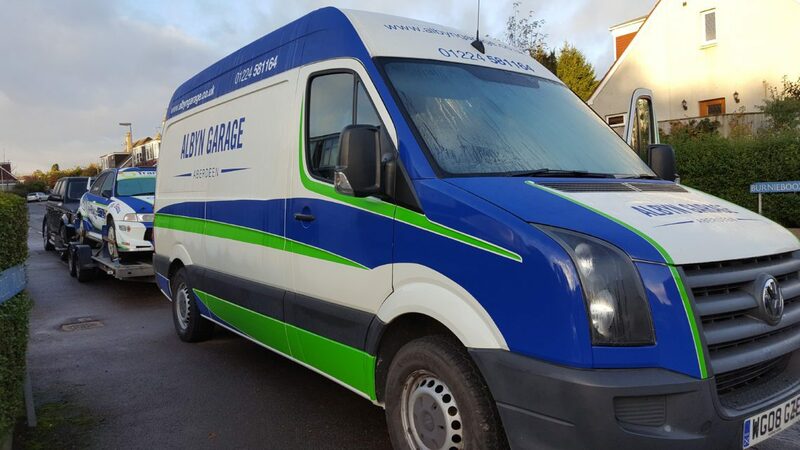 To get ready, and be able to get everything from Scotland to Wales a new van has been sought out and designed to fit in with the team. And since everyone knows there is a significant chance of Rain in Wales, a tent to keep #TeamAlbyn dry has also arranged!! Follow our facebook and twitter pages to be kept up to date with the daily action!